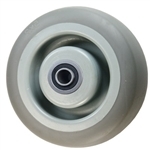 Thermoplastic or TPR wheels have a synthetic soft rubber tread bonded to a polyolefin core. 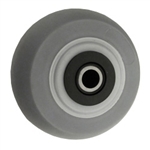 These soft rubber wheels are floor safe and non-marking. 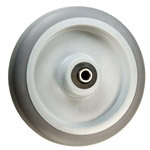 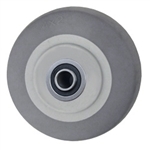 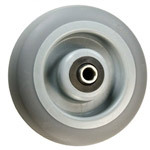 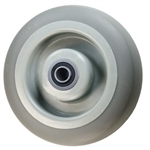 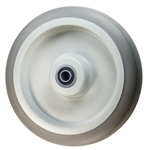 This smooth rolling and quiet rubber wheel is resistant to oil, grease, water, and most solvents. 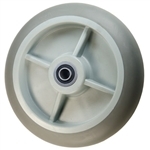 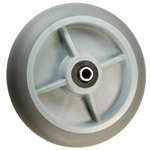 Check out the heavier duty Polyurethane Wheels or Polyurethane Wheel Casters. 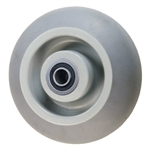 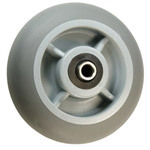 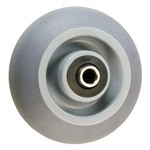 Also, see here for Soft Rubber Chair Casters. 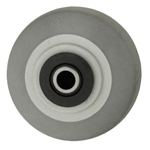 Looking for solid black rubber wheels? 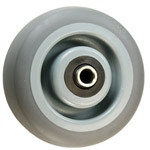 Check out Hard and Soft Rubber Wheels. 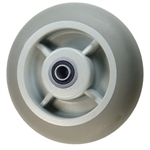 For more wheel options, including full casters, please call our sales team in West Reading, PA, at 1-800-215-8220.